One of the best and easiest ways to save money on hotels is to join a hotel or a hotel group’s reward program. In almost every case, it is completely free to join. Points add up and can allow you to stay completely for free simply by staying at the property. In addition, many hotels let you earn free nights if you use the hotel branded credit card. Here are a list of a few popular hotel rewards programs, which hotels are included, how it works and which card is associated with the hotel. How to sign up: Visit Hilton HHonors website. How it works: You earn 10 points for every US dollar spent on your room, including money you spend on room service and telephone calls. What else you get: You also get quick check-ins, late check out, and express check-out. Hotel credit card to earn free nights: Citi Hilton HHonors Visa. How to sign up: Sign up by filling out information at their website. How it works: Earn points by staying at participating hotels. You can also earn double or triple points for staying at specific places throughout Europe, the Middle East, and Africa. You can also use your points for room upgrades or airline miles as well. What else you get: You can get a percentage off your stay and complimentary breakfasts pending where you stay. Hotel credit card to earn free nights: Starwood Preferred Guest Credit Card from American Express. How to sign up: Visit their website for more information about the program and to sign up today. How it works: Earn points for your qualified stay at participating hotels. You can also earn up to 50,000 points when you refer friends. What else you get: You are also qualified for specials and members-only rates and promotions every day. And you are eligible for deals from their partner companies like Hertz as well. Hotel credit card to earn free nights: Marriott Rewards Premier Credit Card. How to sign up: Create an account by visiting their website. How it works: Earn points by staying at participating hotels. You earn five points for every eligible dollar spent. These points then can be converted to free nights with no blackout dates or other purchases. What else you get: Besides free nights, you can also redeem your points at participating dining and spas. Check for a list of participating spas and restaurants where you’ll earn points simply for spending money there. You can also earn a free rental car through Avis with 6,000 points or by traveling with their partner companies. Platinum membership allows complimentary in-room internet access and Diamond membership allows four suite upgrades annually. Hotel credit card to earn free nights: Hyatt Credit Card from Chase. How to sign up: Simply fill in your information at their website and choose if you’d like to earn Wyndham Reward Points or points with airline or rail points. How it works: Earn points for staying at the hotel. You earn one free night for every 20 nights you stay at a participating property. You can also earn points by shopping with participating partners like Avis, Budget, Alamo, National, LifeLock, and FTD Flowers. What else you get: You’ll also get the chance to participate in promotions offered throughout the year. Hotel credit card to earn free nights: Wyndham Rewards Visa. How to sign up: Sign up and learn more about the program by visiting Club Carlson’s website. How it works: For every eligible U.S. dollar spent, you receive 20 Gold Points. 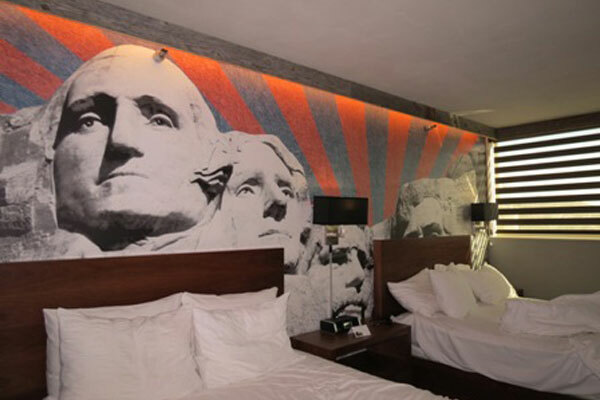 You can also earn points for any food or beverages charged to your room. Starting at 9,000 points, you can start earning free nights with no black out dates on standard rooms. What else you get: You also get free internet service for members at hotels worldwide. You get elite status starting at 15 nights or 10 stays per year. Elite status earns you complimentary room upgrades, elite customer service line, early check in, and late check out. If you earn Gold or Concierge, you can earn free continental breakfasts and an in-room welcome gift. Hotel credit card to earn free nights: Club Carlson Visa. 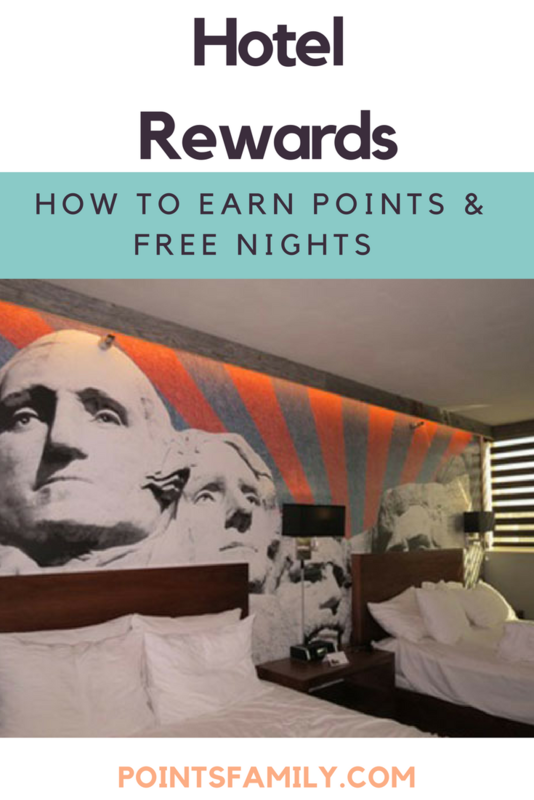 Every hotel and hotel reward program is different so be sure you know how each program works and what you have to do to earn points and use points. Some points can only be used on certain days, at certain properties, or they may expire so read the fine print. I was puzzled when I didn’t receive points for a stay at a Hilton in New York. I realized I didn’t earn any points for that hotel stay because I booked through Hotels.com instead. So keep in mind, if you book through deal sites like Expedia, Hotels.com, Groupon, or any other non-direct site, you might not earn the points. Be a broken record about being a rewards member. I let it be known when I make the reservation, when I check-in, and when I’m checking out. This is important for a few reasons. First and foremost, so you are getting the points for that stay. Second, being a rewards member entitles you to little perks and upgrades. Along those same lines, know what’s included with being a rewards member. When I checked into a Holiday Inn in New Hampshire, they greeted me with a few beverages, snacks, and local coupon books. It may not be much, but it is a little something. Keep track of your account information. When you sign up, you may be mailed a card to use. But also keep track of your account number, pin number, and the e-mail address you used to create the account. This is important to claim your points. Keep track of your points. After you stay at a hotel, you may instantly get points credited to your account for future stays. Other programs may take up to 8 weeks to post points. Make sure you know how many points you earned for each stay, and keep an eye out for them. I am lucky I kept track of my point because I realized a few months later I was 1,000 points short of what it should have been. I simply called customer service and was able to fix the problem. Explore other ways to earn. This past summer, I rented a car through Budget. I was able to give my Priority Club Rewards number, and I earned points towards free stays with that car rental. Most reward programs have partner companies where if you shop with them, you can earn points. Everything from clothing, restaurants, airlines, and even booking a cruise, can earn you points. As I mentioned earlier, another way to earn rewards points very easily is to sign up for a credit card through them. Many hotel reward programs also offer a credit card where you earn points with every qualifying purchase made on that card. You might also earn double or triple points when you are charging a room stay with that card. For signing up, you can also be offered a ton of points of up to six free nights. Of course, just like with any credit card, be sure to understand the terms and conditions, interest rates, fees associated, and use it wisely. Even if a hotel doesn’t have a reward program, sign up for e-mail alerts. You might get coupons, information on promotions, or even a percentage off for being on their e-mail list. Stay tuned for more hotel rewards programs including Best Western, La Quinta, Priority Club Rewards, Best Rest Rewards, Choice Privileges and Redicard. Do you enroll in hotel rewards programs? If you are a hotel reward member, what has your experience been like?